Shenzhou 10 Launches, Tiangong-1’s Final MIssion Begins. It was just on a year ago today when China made history by becoming one of the few space faring nations to have a manned presence in space. Sure it wasn’t particularly long with the taikonauts staying on board for just over a week but it still demonstrated that they were quite capable of doing everything that other nations have. That’s made all the more incredible by the fact that they have essentially built this program from scratch in just over 20 years at a fraction of the cost. Ever since then I’ve been waiting to hear about their next (and final) mission to Tiangong-1 as that would demonstrate their ability to repeat what they’ve done. Today they’ve done just that. Shenzhou-10 launched early this morning carrying with it 1 returning taikonaut (Nie Haisheng , Shenzhou-6) and 2 first comers including China’s second female taikonaut. The mission profile is much like the Shenzhou-9 with the crew spending 15 days in orbit with the majority of that being aboard Tiangong-1. Primarily they’ll be engaging in technological and scientific experiments but they’re also doing some outreach programs with Wang Yaping conducting some lectures live via television broadcast. Once their mission has been completed and the taikonauts returned to earth Tiangong-1 will be de-orbited in preparation for its upcoming replacement Tiangong-2. I’ve said it several times before but it bears repeating, China is doing some really impressive work here and they’re doing it at an incredible pace when compared to previous endeavours to do the same. Sure, there’s a little bit of standing on the shoulders of giants here (thanks to their initial technology deal with Russia) but being able to launch a space station, perform unmanned missions and then 2 manned missions to it all within the space of 3 years is incredibly impressive. Tiangong-2, scheduled for launch for later this year, expands on the capabilities they developed further and should that prove successful that will pave the way for their first modular space station in the form of Tiangong-3. Whilst I’m never going to be against more space stations the fact that the Tiangong series of craft exist can be directly traced back to the USA’s inability to work with China on anything space related. That may have made sense 3 decades ago but China has demonstrated pretty clearly that they’d have a lot to offer a joint space mission like the International Space Station. I’d even hazard a guess that the Tiangong/Shenzhou modules would be compatible with much of the ISS given their Russian technology roots or would likely only require minor modifications. Who knows, come 2020 when Tiangong-3 starts getting built we might see some collaboration from other nations but I don’t like our chances if the US gets involved again. Despite that I’m all for the progress made by China as the more options we have for getting to and staying in space the better. The future of missions like this is looking to be increasingly private however, with companies and SpaceX and Orbital Sciences doing missions at a cost that even China says they can’t match. That’s a good thing however as it will allow them to focus on pushing the boundaries even further, taking on projects that will be truly awe inspiring. Shenzhou-9 Docks with Tiangong-1 Giving China It’s First Manned Space Station. I’ve always felt that China’s exclusion from the International Space Station project has been a huge misstep on the USA’s part. 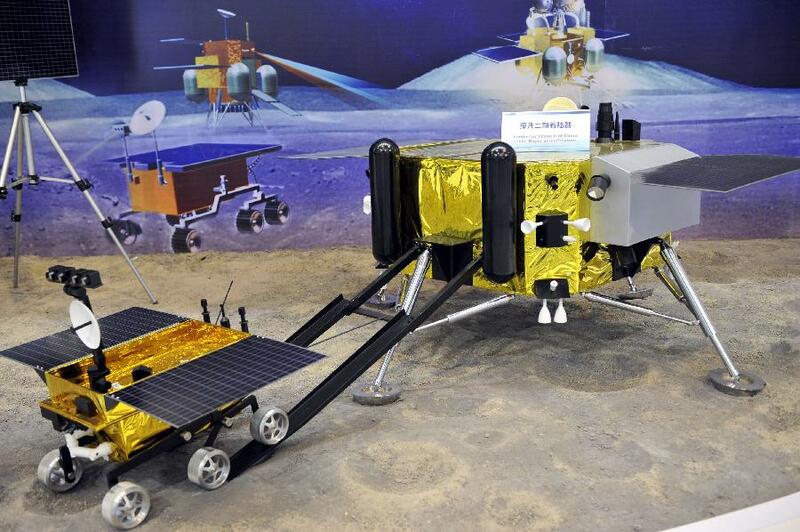 Sure I can understand that there are some concerns, as there always are with any international co-operative effort, but the fact is that China really did have a lot to offer the ISS even if it wasn’t anything that the Russians could provide. Exclusion from such a project has sent them down their own path of space exploration and the last decade has shown that China are not only capable of putting their own Taikonauts up there but they’re also quite adept at pushing the boundaries of their capabilities much faster than governments have done in the past. It was just on 9 months ago today that China launched their own space station, Tiangong-1. It didn’t take them long after that to launch an unmanned Shenzhou capsule and dock it with the space station, verifying that all the systems required for humans to be able to visit the station were in place and functioning correctly. 4 days ago saw the launch of Shenzhou-9 carrying with it 3 Taikonauts (including China’s first female space fairing citizen) with their destination being none other than Tiangong-1. Yesterday saw them dock and for the first time in history China now has a manned space station in orbit. The total mission time for Shenzhou-9 is about 2 weeks giving the taikonauts around a week or so aboard Tiangong-1. In that time they’ll be doing some medical experiments and studying the development of butterflies in a microgravity environment. Realistically the payload of this mission is the taikonauts themselves and this just serves as a shake down of the systems aboard Tiangong-1 ahead of future missions that will visit it and it’s successors. There’s one more manned visit planned after this one concludes currently scheduled for some time next year, after that Tiangong-1 will be deorbited and then replaced by upgraded versions of the craft. Ones which will form the basis of their permanent space station. China has made a lot of progress in the past couple years and it looks like they’re not about to stop any time soon. Whilst I don’t believe that their achievements will see them end up being contributors to the ISS it will put pressure on the USA to relax their rules around co-operation with them as their original reasons (that China had nothing to give the program and would only take) really don’t hold any ground anymore. Of course that’s never stopped anyone from holding on to an irrational point of view before and I don’t expect it to change any time soon. It’s really quite exciting to see so much development in space exploration even if it isn’t new territory. Governments competing with each other for space supremacy is how we landed men on the moon before we had modern computers and China’s incredible efforts to get a foothold in space could spur on another race of similar magnitude. If I’m honest I do wish that this wasn’t the case, I’d much prefer them just to do it for the sake of doing it, but nothing gets superpowers moving faster than the potential for their pride to be hurt. With an election on the horizon there’s ample opportunity for the upcoming Presidential candidates to start affirming their commitment to being the leaders in space and hopefully we’ll start to hear them doing so soon. 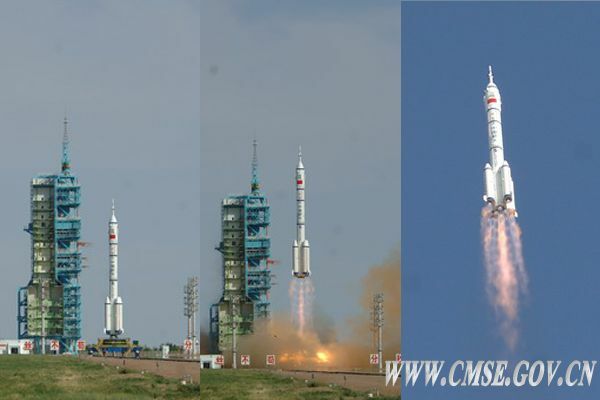 Shenzhou 8 and Tiangong 1: China Blazing Into the Space History Books. Pushing the envelope of capabilities in space is a slow and arduous task where small step after small step eventually makes its way to the ultimate goal. Even with today’s technology it still takes us the better part of a decade to go from concept to reality, especially if you’re trying to build launch capability from scratch. Hell even my current crush, SpaceX, has taken 10 years to get to the stage they’re at and that’s considered blindingly fast even when you compare them to the superpowers of the world. China on the other hand has proven themselves to be extremely capable, innovating at an extremely rapid pace. In fact the last thing I wrote was just over a month ago when China had successfully launched their Tiangong 1 prototype. In that time they managed to prep, launch and have Shenzhou 8 rendezvous with Tiangong 1 putting China on par with the small number of nations who have developed such capability. Over the next couple weeks Shenzhou 8 will un-dock and re-dock with Tiangong 1 in order to prove that the technology is solid. Once the mission has been completed Shenzhou 8 will return to earth for further analysis. Launching two separate vehicles rapidly one after another is par for the course of any space program but what really surprised me was China’s plans for the next 2 craft to visit Tiagong 1. China has no less than 2 more missions planned before the end of 2012 and one of those will be a manned. When you take into consideration that China has only managed to complete their first EVA 3 years ago (a critical capability for keeping a station in orbit) having a manned station so soon afterwards is an incredible achievement. Going on their timeline we could see China have their own Salyut level space station before the decade is out, and that’s just incredible. I’m hoping that with these accomplishments that both Russia and the USA recognize how valuable China could be for the future of their space programs and seek to include them in future endeavours. So far China is the only country explicitly excluded from participating with the International Space Station, most because the USA thought they’d be nothing more than a burden to them. Such rapid progress shows that they’re not only capable of replicating current technology but also innovating their own solutions, something which would be highly valuable to all current space fairing nations. It’ll take a long time for those political barriers to start coming down, but I hold out every hope that one day they eventually will.